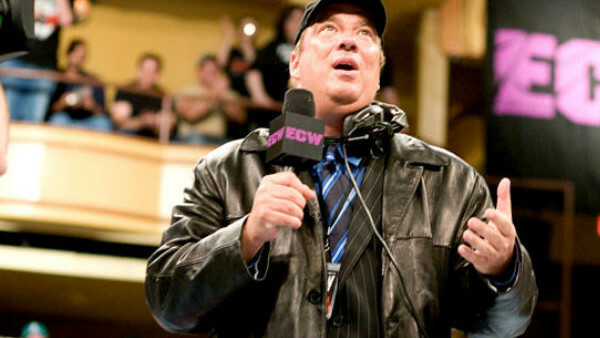 After four years cold turkey, you might have expected fans of ECW to be grateful for literally any show hosted at the Hammerstein Ballroom, produced (at least in part) by Paul Heyman, and performed by a cast of wrestlers including Sabu, Tommy Dreamer, Sandman and The Dudleys. And they were grateful, to be fair - but also angry. And they showed their anger throughout the evening by loudly jeering the handful of WWE employees present who didn't have a connection to the original 1990s product (like JBL), and a few of those who did (like Rey Mysterio). Remarkably, there were only 2,500 in attendance in New York that night. The noise generated owed less to the size of the crowd than it did the intimate feel of the "bingo hall"-style arena on which they descended, and the fact that anyone with a ticket was, by definition, a die-hard. As expected, they reserved their loudest reactions of the night for the now famous mid-show promo in which Heyman gave the assembled group of Raw and SmackDown gooseberries brutal, kayfabe-breaking dressing down. "The only reason you were WWE Champion for a year is because Triple H didn't wanna work Tuesday." Ouch.